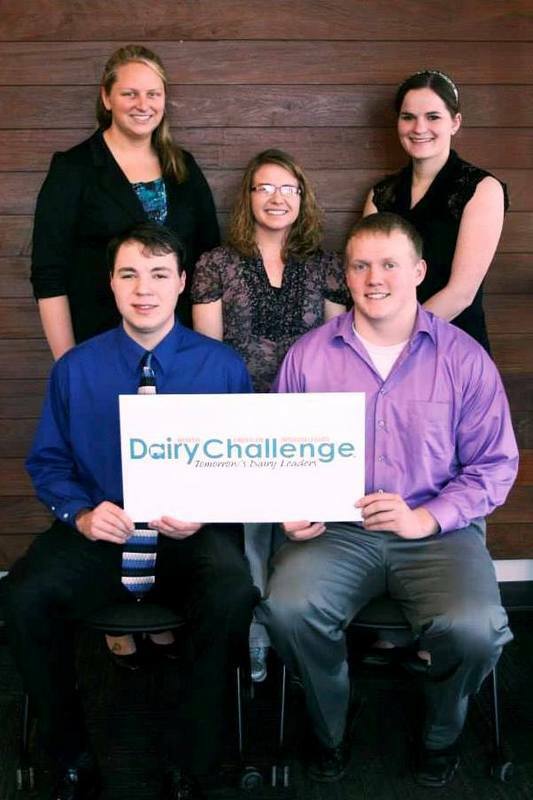 Capturing first place on Farm 1 was the �Cooperative Resources International� team. Front (left to right) are team members Ryan Pralle, University of Wisconsin-Madison, and Andrew Plumski, University of Minnesota. In back are Heather Smith, Purdue University; Jessie Hammerand, Iowa State University; and Jamie Pfaff, University of Wisconsin-River Falls. Earning the top honor on Farm 2 was the �Renaissance Nutrition, Inc.� team. Front (left to right) are team members Max Luchterhand, University of Wisconsin-Madison, and Kristopher Boucher, Kansas State University. In back are Veronica Hilton, Purdue University: Kara Uhlenhake, The Ohio State University; and Kristin Leiteritz, Lakeshore Technical College. 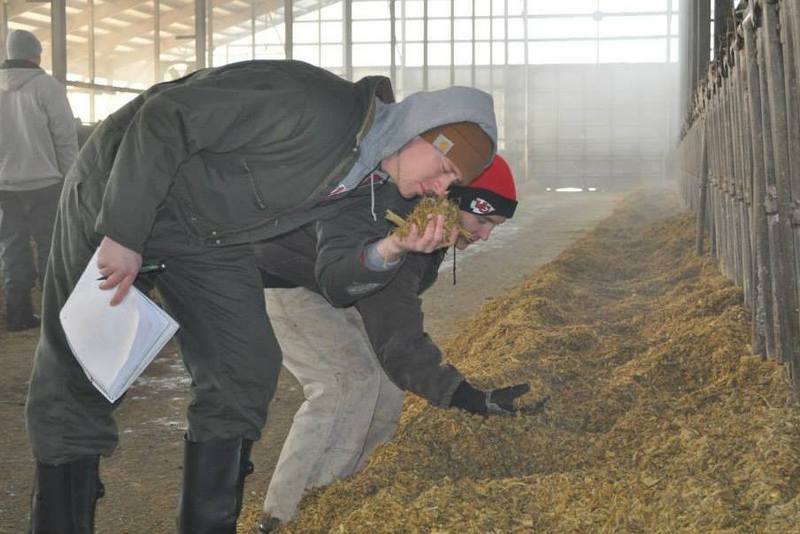 College students inspect the milking cow ration during the Midwest Dairy Challenge, as part of assessment and recommendations for a northeastern Wisconsin dairy farm. 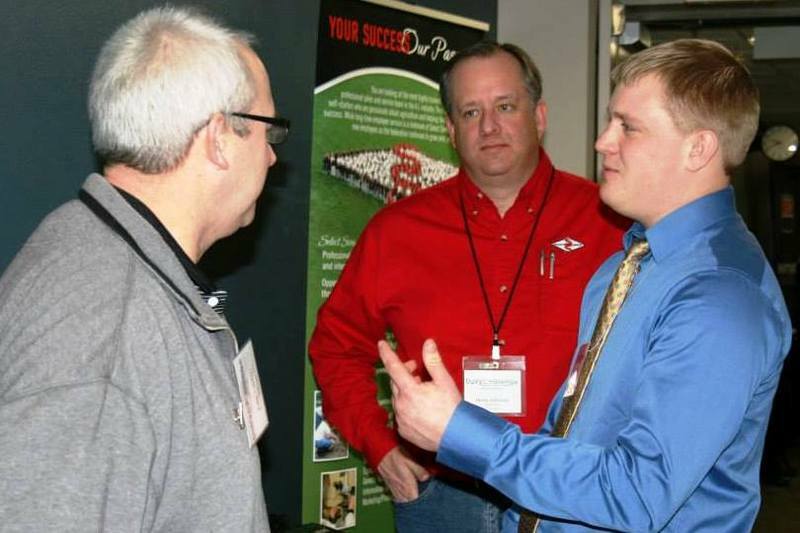 A college dairy student visits with representatives from Select Sires, a sponsor of Dairy Challenge since its start in 2002. 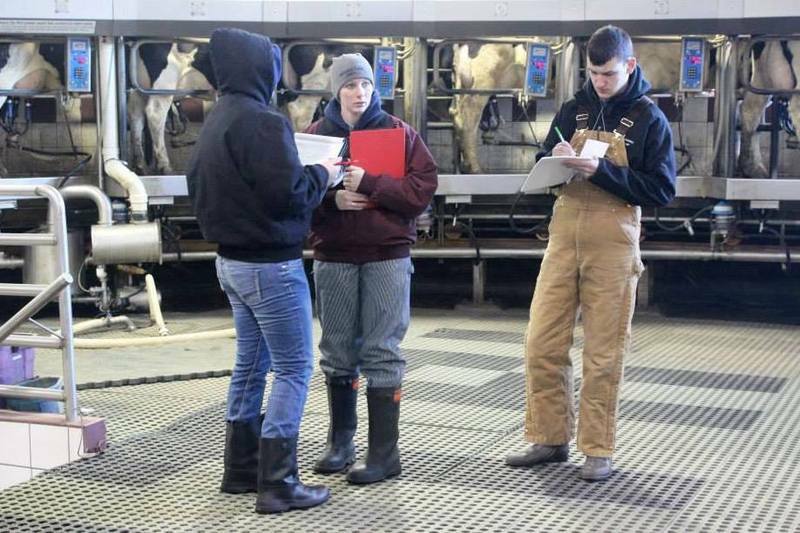 During the Midwest Dairy Challenge, teams took an in-depth view of procedures in the milking parlor. 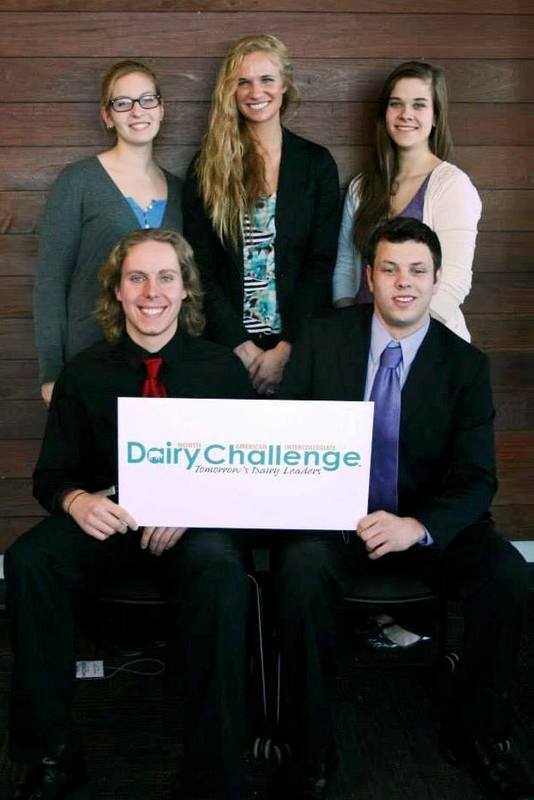 The culmination of Dairy Challenge is presenting recommendations to the farm owners and judges panel, comprised of industry professionals, financial consultants, veterinarians and dairy producers.